All our prices are expressed in € and per bottle or stated format. The prices which apply at the moment of placing an order are those listed on our site (except error or omission) and are VAT included. Our prices are valid subject to availability. The goods remain our property till total payment as per French law N° 80335 dated 12/05/1980. Packaging of 1, 2 3, 4 or 6 bottles are possible. The payment is secured with our bank LE CREDIT LYONNAIS. All informations you give (card number, expiration date, security number) are secured by SSL encryption (Secure Socket Layer). Premiers Grands Crus has no access to these informations. 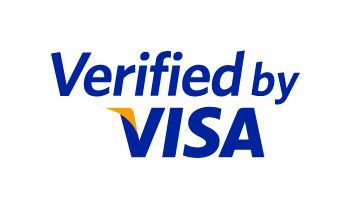 We accept : Carte Bleue - Visa - Mastercard with 3D Secure system. Payment by bank transfer: you can make a bank transfer through our partner bank. You will receive all bank details when placing your order, at the moment of choosing your mean of payment. Every order is effective upon receipt of payment. Every order which is not paid within 8 days is cancelled without notice. The transfer of property is effective at delivery to the address indicated. Delivery in Pick Up point of your choice the day after the shipping date. Available only for orders of 6 bottles maximum. Home delivery the day after the shipping date. (*) An additional cost of 23,52€ per parcel is applied for Corsica deliveries. Zone 1 : Belgium, Germany, Italy, Luxembourg, Netherlands, Spain, United-Kingdom. Zone 2 : Austria, Denmark, Finland, Greece, Ireland, Portugal, Sweden. Zone 3 : Bulgaria, Czech Republic, Estonia, Hungary, Latvia, Lithuania, Poland, Romania, Slovenia, Slovakia. Delivery to your doorstep in 48h as from the shipping date. Prices are excluding. VAT (updated after your account creation), you are therefore responsible of the eventual taxes applied in Switzerland at the delivery. Delivery to your doorstep in 72h as from the shipping date. Prices are excluding. VAT (updated after your account creation), you are therefore responsible of the eventual taxes applied in Norway at the delivery. Delivery to your doorstep in 48h/72h as from the shipping date for the following countries : South Korea, Hong-Kong, Japan, Macao, Singapour, Taiwan, Vietnam. Prices are excluding. VAT (updated after your account creation), you are therefore responsible of the eventual taxes applied at the delivery. For other countries, please contact us for a personalized quotation. The shipping costs are including insurance cost. Every order is controled before leaving our cellars, we are not responsible for any missing or damaged bottle. It is important that you verify the parcel at the delivery before signing the transporter’s delivery note. Any anomaly (items missing, breakage, deterioration…) have to be clearly stated on the delivery note which copy is to be mailed to our company for bringing in the insurance company for reimbursement or replacing of the damage. Claims are acceptable within 8 days after the delivery. We are not responsible for any delivery delay due to circumstances beyond our control. Payment by credit card is secured by an online payment service in line with SSL standards. We decline all responsibilities when you open your bottles and more specifically your bottles of Champagne which are under pressure. According to French law (N°59-107, January 1959) the sale of alcohol to persons under 18 years of age is prohibited. The buyer promises to be 18 or more at the moment of placing the order. The visuals as well as descriptive on this website are used for illustration only and are not contractual and cannot be disputed to the web-owner.